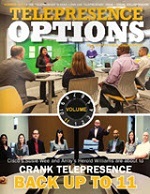 The ambition for the new combined company is to build a leading global visual collaboration company specializing in designing, installing, servicing and supporting physical and virtual meeting environments for global customers and customers with a strategic need for videoconferencing, collaboration and audiovisual solutions. The combined company today serves corporate and public customers in over 120 countries. It will have its official headquarter in Amsterdam, the Netherlands and will continue to serve their customers from multiple office locations throughout EMEA, USA & APAC. A new brand, that reflects the evolution of these two reputable businesses into an integrated global organization, is expected to be launched in early 2018. Odd Sverre Østlie, previously CEO of Viju, will be appointed as CEO, to achieve an ambitious growth strategy, both organically and by selectively looking at add-ons. Raymond Alves, the founder and CEO of VisionsConnected, will be appointed as CSO (Chief Solutions Officer), and will spearhead the company's solutions and services development. 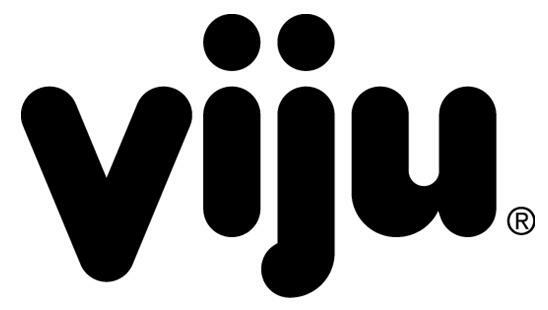 Commenting on the announcement, Odd Sverre Østlie, CEO at Viju, said: "We believe this is a perfect opportunity to join forces with VisionsConnected and create a leading global visual collaboration specialist. "For the end user to be effective, they need a trusted partner to bring the world of different technologies together. We can now provide our customers with a seamless ecosystem of personal and shared Video and AV technologies as-a-Service, covering every need from one-to-one and group collaboration, to internal all-hands and external events." "Employees must be able to really enjoy and master the experience of working collaboratively, and organizations must be able to realize and measure real improvement from their investment in audiovisual and collaboration technologies." said Raymond Alves, VisionsConnected. "I look forward to further developing our solutions and services, and continue to drive innovation by enabling effective collaboration between people and organizations." Commenting on the acquisition, Emily Jeffries-Boezeman, Investment Manager at Avedon Capital Partners, said, "We have been following this market and recognized the opportunity to create a globally leading specialist in this dynamic, but still fragmented market. The market grows considerably driven by the increased need for high end video and collaboration technologies and services, delivered globally in a service model. With their outstanding people, talented leaders and shared culture striving for the best customer experience, Viju and VisionsConnected together, form the ideal foundation for our entrance into this industry. We look forward to support the growth of the platform and making this investment a joint success" Rune Jensen (Progressus Private Equity, majority owner Viju): "Under our ownership, Viju has tenfolded revenues and established offices around the globe. 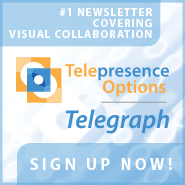 We look forward to following the new company's continued journey, and believe Avedon is very well positioned to take it to the next level"
Commenting on the announcement, Odd Sverre Østlie, CEO at Viju, said: \"We believe this is a perfect opportunity to join forces with VisionsConnected and create a leading global visual collaboration specialist. \"For the end user to be effective, they need a trusted partner to bring the world of different technologies together. We can now provide our customers with a seamless ecosystem of personal and shared Video and AV technologies as-a-Service, covering every need from one-to-one and group collaboration, to internal all-hands and external events.\"
\"Employees must be able to really enjoy and master the experience of working collaboratively, and organizations must be able to realize and measure real improvement from their investment in audiovisual and collaboration technologies.\" said Raymond Alves, VisionsConnected. \"I look forward to further developing our solutions and services, and continue to drive innovation by enabling effective collaboration between people and organizations.\"
Commenting on the acquisition, Emily Jeffries-Boezeman, Investment Manager at Avedon Capital Partners, said, \"We have been following this market and recognized the opportunity to create a globally leading specialist in this dynamic, but still fragmented market. The market grows considerably driven by the increased need for high end video and collaboration technologies and services, delivered globally in a service model. With their outstanding people, talented leaders and shared culture striving for the best customer experience, Viju and VisionsConnected together, form the ideal foundation for our entrance into this industry. We look forward to support the growth of the platform and making this investment a joint success\" Rune Jensen (Progressus Private Equity, majority owner Viju): \"Under our ownership, Viju has tenfolded revenues and established offices around the globe. We look forward to following the new company's continued journey, and believe Avedon is very well positioned to take it to the next level\"